Loud is the middle name of car designs coming out from DC Design. So, it is no surprise when India’s first homegrown supercar, which is designed by DC Design, gets garish innards with shiny orange being the colour of choice. Other bits of the DC Avanti sportscar’s interiors reek of minimalism, and this coming from DC Design, is a very good thing. 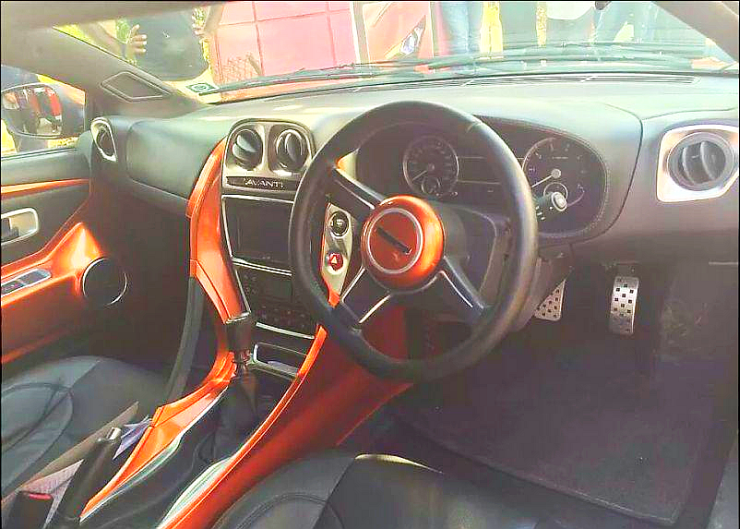 The DC Avanti gets a twin pod instrumentation console, a small steering wheel that looks the sporty part, drilled pedals, a flowy center console and leather seats. The car will begin reaching customers from early 2015, at an indicated ex-showroom price of 35 lakh rupees. Bookings for the Avanti are open at the handful of DC Design showrooms around the country. 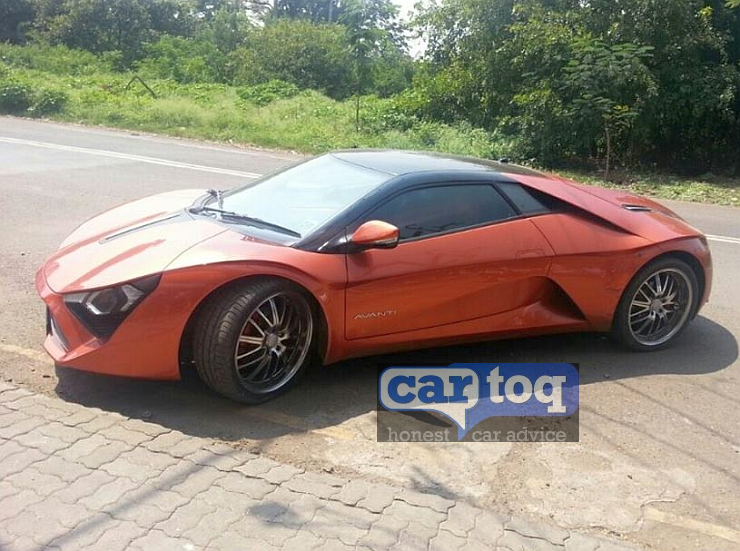 The Avanti’s production will happen at DC Design’s Talegaon factory, off Pune. Each year, the automaker expects to sell about 2,000 units of the Avanti sportscar in India. The car is likely to host a 2 liter Ford EcoBoost turbo petrol engine with 240 Bhp-340 Nm outputs. A six speed manual gearbox will drive the Avanti’s rear wheels. A 180 Kph top speed and an acceleration sprint from standstill to 100 Kph in under 6 seconds. A new set of rumours suggest that DC Design is looking at employing a Renault petrol engine on the Avanti, which is pending confirmation from the design house. DC Design also has plans of launching a more powerful version of the Avanti sportscar, with a 3.5 liter V6 naturally aspirated petrol engine sourced from Honda. For now though, confusion reigns about the engine that will power the first crop of Avanti sportscars due to roll out from early 2015. The DC Avanti is aimed at young car buyers who find sportscars from the German marques too expensive for their tastes. At a price that is almost half as much as the relatively affordable Mercedes Benz CLA45 AMG, the DC Avanti seeks to make a strong case for itself in value terms.